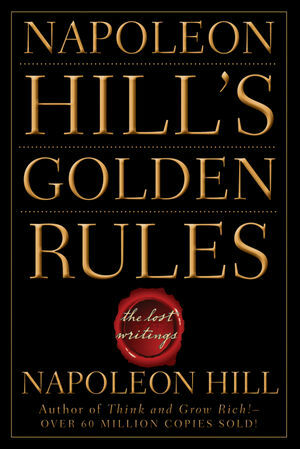 Napoleon Hill (1883–1970) was a highly respected, influential, and bestselling author of the first modern motivational and personal success books. His most famous book, Think and Grow Rich!, has sold more than 60 million copies worldwide, is the all-time bestseller in the genre, and continues to change thousands of lives each year. Lesson #1: Your Social and Physical Heredity. Lesson #4: The Law of Retaliation. Lesson #5: The Power of Your Mind. Lesson #6: How to Build Self-Confidence. Lesson #7: Environment and Habit. Lesson #8: How to Remember. Lesson #9: How Mark Antony Used Suggestion in Winning the Roman Mob. Lesson #10: Persuasion versus Force. Lesson #11: The Law of Compensation. Lesson #12: The Golden Rule as a Passkey to All Achievement.